Doodlebug Design Inc Blog: Hip Hip Hooray: Sweetest Birthday Setup Ever! A little while ago I bought a blue raspberry cake mix and frosting at the grocery store for no other reason than it looked fun and different. As soon as I saw the Hip Hip Hooray collection, I knew my bright cake mix and frosting would go perfectly with this collection. I like making cupcakes for birthdays because they are less of a fuss than a cake. 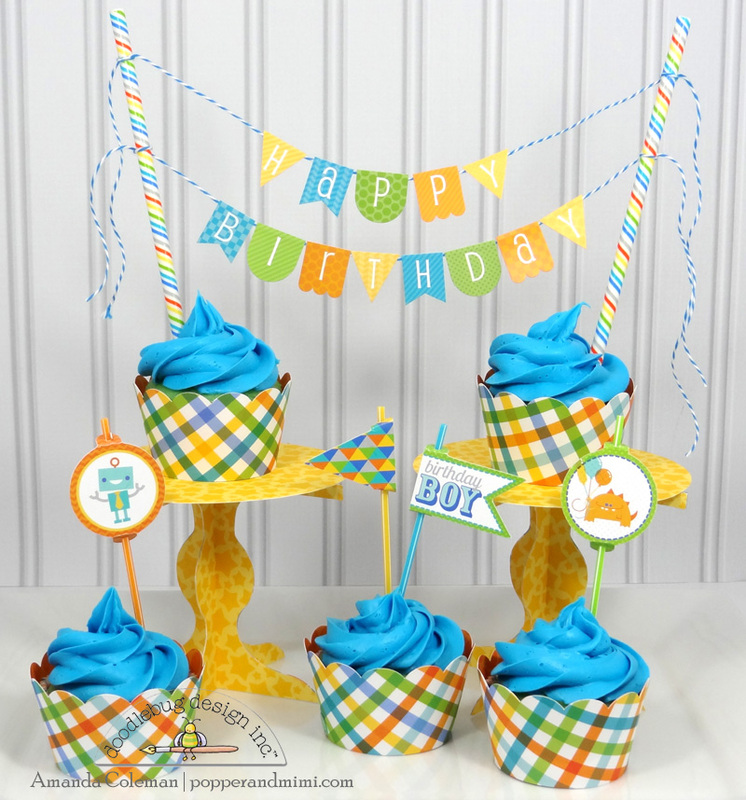 Create a fun cupcake display by adding a birthday banner and some fun cupcake wrappers and toppers to each individual cupcake. Doodlebug makes it extra easy with their Pixie collections! 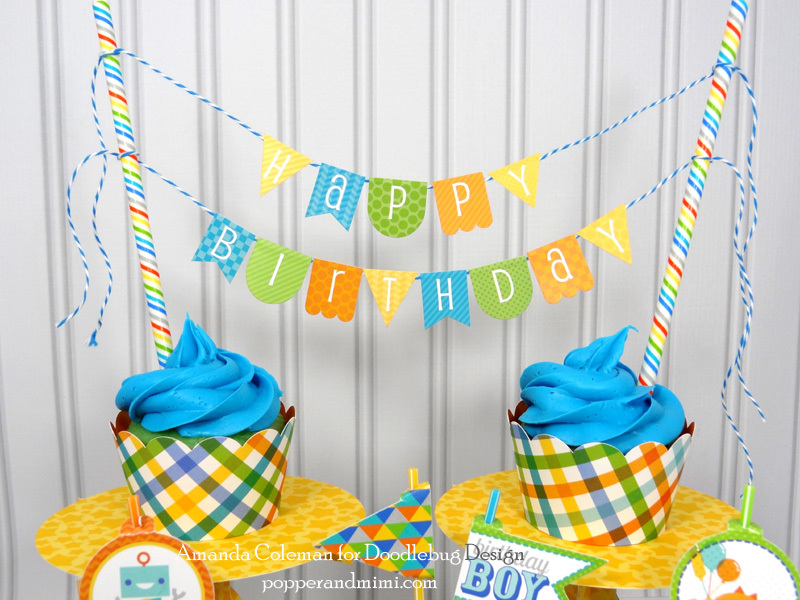 Create a simple banner by wrapping straws with washi tape and inserting them into a pair of cupcakes. Adhere the banner stickers to twine and tie around the straws. This birthday banner would look amazing atop a birthday cake, too. Each cupcake is wrapped with a plaid wrapper and topped with a Pixie flag or two. I can hardly resist this little robot wearing a tie! 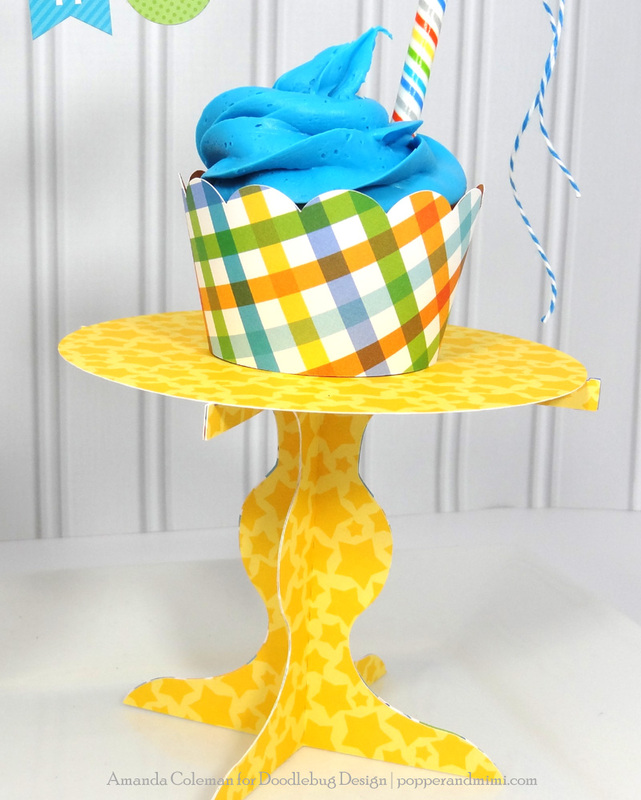 Add dimension to your display by placing the banner cupcakes on paper cupcake stands. Just too stinkin' cute Amanda!!! I love this! And I pinned it! I just love the colors in this collection. So bright and cheerful. The cupcake wrappers are so cute. Gorgeous, I love the fun vibrant colors! Wow! these bithday projects are too cute! My son and I were looking for options for his cupcakes. I think we already found it! I shared this awesome post on Facebook! So fun and festive! The colors and patterns are gorgeous! I follow you on Pinterest, my Pinterest name is Tracy Moloney. Pinned. 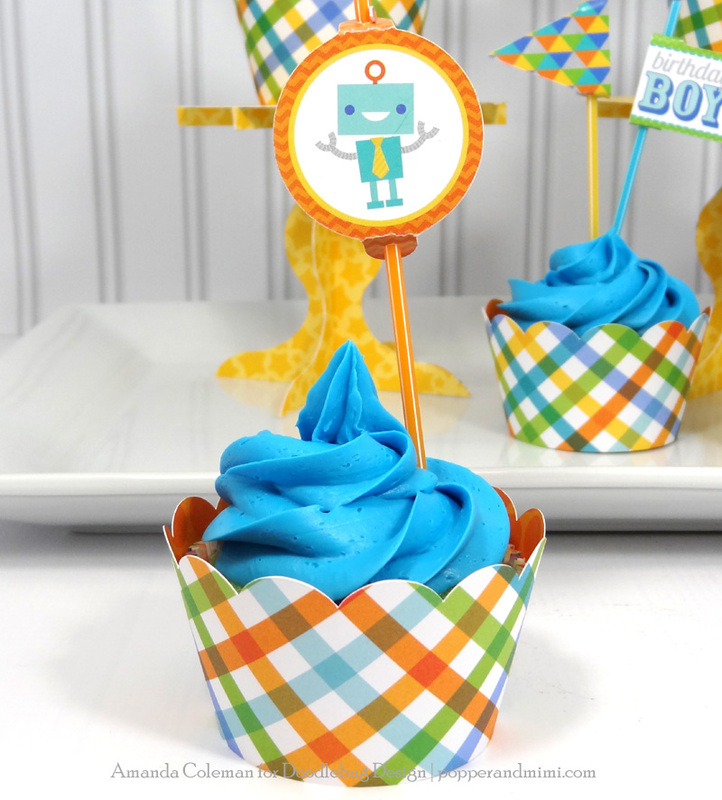 Have birthday parties coming up; love the pop of blue on these!